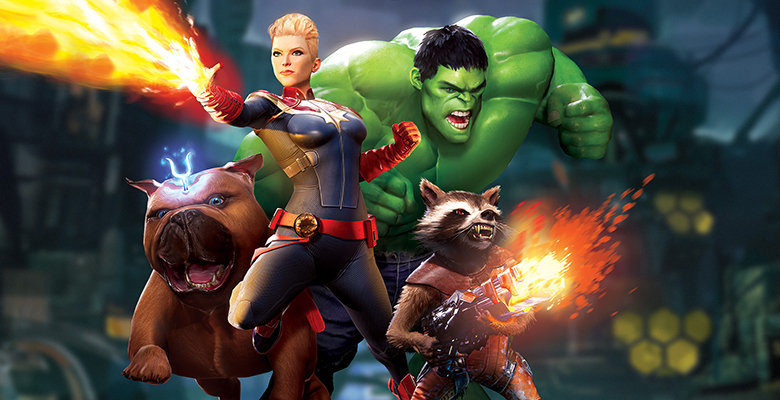 Today at D23 Expo, Oculus and Disney announced Marvel Powers United VR, which is an action-packed, multiplayer co-op title from Marvel and Oculus Studios. 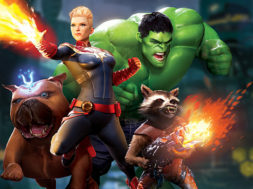 This game will put up to four players in control of their favorite Marvel heroes as they fight together to take out infamous Marvel villains. You will be completing missions along the journey while competing for the highest score. Hulk – You’ll be able to harness your rage to vanquish super villains with his seismic punch, thunder clap and more. 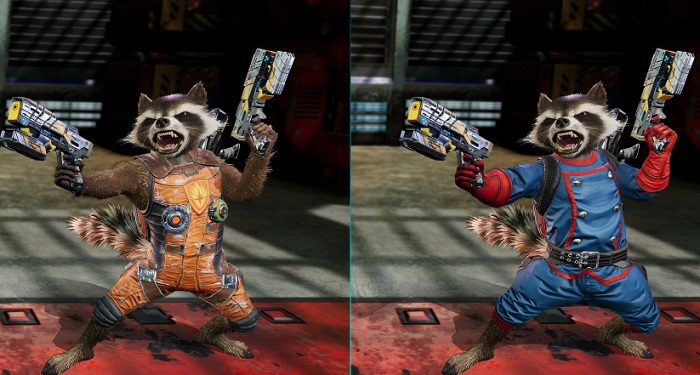 Rocket Raccoon – You’ll take aim at the bad guys with your blasters and scatter rifle. Captain Marvel – You’ll be using your photon beams and super strength to the power of flight to defeat your foes. Oculus has yet to state if you’ll be able to play as villain characters such as Ronan The Accuser. Ronana is a Kree zealot born on the Kree homeworld of Hala. As the powerful Supreme Accuser, Ronan enforces Kree laws and delivers Kree justice across the galaxy who seeks power to deliver this judgment and will destroy those who stand in his way of obtaining it. Marvel Powers United VR was developed by Sanzaru Games, the team behind VR Sports Challenge and Ripcoil. In the gameplay you can see ordinary people get the call-to-action to defend the world from annihilation. They all get alerted to step into the virtual world and take control of these super-hero strengths. It also shows that the gameplay will mostly be seen in first person view with the freedom of locomotion. Marvel Powers United VR characters will also be customizable with new wardrobes and attire. San Diego Comic Con attendees will get the first chance to try out the new VR title during the show taking place on July 19- 23. Oculus nor Disney has yet announced when the game will be available to the public.